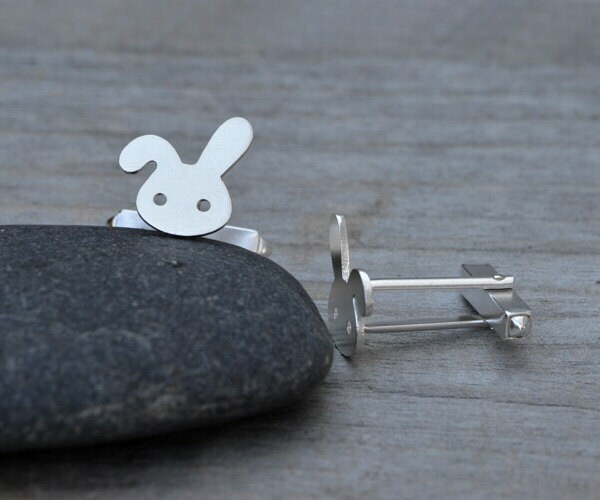 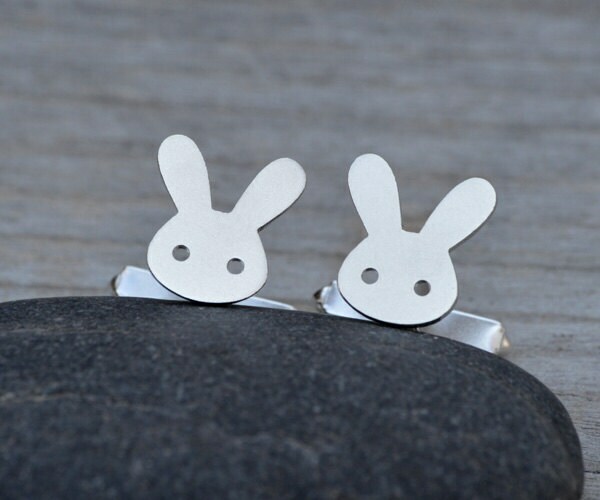 These bunny rabbit cufflinks are handmade at my studio in Cornwall, the UK. 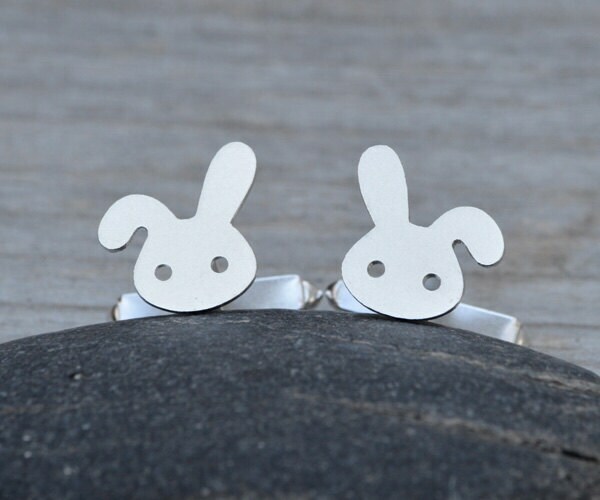 They are also avialable in 9k yellow or 9k white gold (£240 / pair). 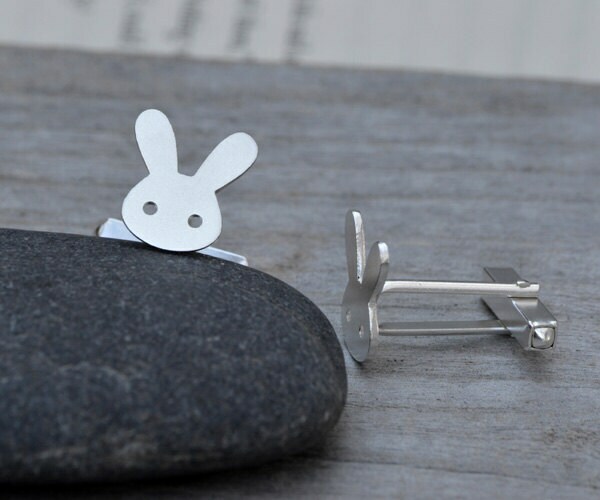 Please contact me for a special order.